The audience journey is not what it used to be. According to Gartner, 83 percent of customers are accessing digital marketing channels late in the purchasing process. 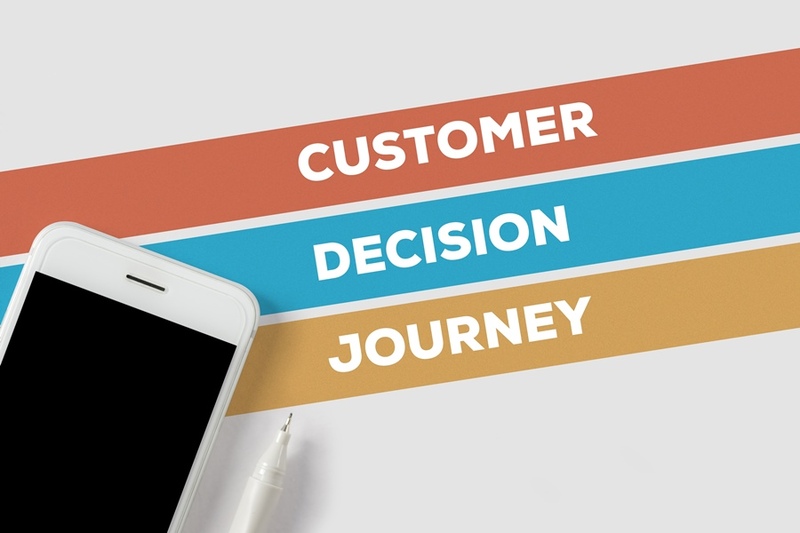 In other words, customers are making it most of the way through their decision journey before they visit your website. This rings especially true for healthcare, where consumerism has hijacked how patients research and consume services. One in three patients is essentially self-diagnosing online according to research from Pew Research Center’s Internet & American Life Project. While this new audience journey can seem elusive at times, your strategy to address it doesn’t have to be. With the help of some qualitative research, you can map audience pain points, emotions, questions, goals, and actions across the journey—from start (pre-awareness) to finish (retention). Then it comes down to mapping specific strategies to the journey to help you get in front of audiences at the right time, with the right content. Read on for ideas on how to put these strategies to work in your organization. Consumers are self-educating on their healthcare conditions before contacting a healthcare provider. Become an integral part of their educational journey. Thought leadership strategies—delivered via content marketing (think infographics, ebooks, and videos)—have proven in the B2B industry to generate 3 times the number of leads at 61 percent less cost than traditional advertising. Current events and hot topics in the news right now. What are some of the big health news headlines? What are the most popular hash tags being used on Twitter? What are people saying on Facebook? The magic of brand journalism happens when two—or sometimes three—of these areas align. Consider the announcement a few years ago that General Mills would remove artificial colors from its cereal. For a hospital wanting to promote its pediatric gastroenterology and nutrition department, this would have been a prime opportunity for brand journalism. A quick interview with one of its doctors could become an SEO-friendly blog article about the impacts of artificial colors and additives. By being relevant and offering value before a patient even needs treatment, brand journalism allows hospitals to reach patients earlier in their journey. When that parent’s child develops a food allergy and needs a provider, your hospital is top of mind. But the concept of shared decision-making doesn’t have to be confined to the walls of the doctor’s office. Healthcare marketers can heed best practices from B2C marketing and consider adding more self-service tools that empower and engage consumers. According to Accenture, 73 percent of consumers prefer to do business with brands that create a personal, relevant experience. In B2B marketing, such self-service tools take the shape of online calculators and interactive online experiences that help audiences find the right product or solution for them so they can move along in their decision journey without needing to pick up the phone and talk to a sales rep.
For some inspiring online calculators, look no further than Mayo Clinic. On the Mayo Clinic website, patients and potential patients can access a number of online health calculators—from building a personalized food pyramid and diet plan based on their weight loss goals to an interactive tool for estimating medical costs. Or see what Ochsner Health System did to reimagine how it informs patients about its quality and safety data. In the spirit of transparency and to create a more meaningful experience around hospital quality data, Ochsner’s interactive online tool asks patients what quality means to them. First, users indicate which specialty they are most interested in and which measures of quality—from convenience to expertise to risks—are most important to them. Based on their selections, each user receives a dashboard of quality measures they might factor into their decision-making process. The Ochsner experience also sets the bar for weaving in best practices in B2B inbound marketing. As prospects move through the tool, a progressive lead generation form captures details for Ochsner’s CRM. And once someone uses their email address to register for gated content, corresponding email nurture programs are triggered. A healthcare customer’s journey doesn’t end after he or she books an appointment; it’s just getting started. Today, 89 percent of companies compete primarily on the basis of customer experience—up from just 36 percent in 2010. Healthcare is no different. Twenty three percent of patients see three or more primary care providers in just two years. And unless you’re delivering a great experience, they’re not simply switching to a new doctor in the same hospital. They’re making a wholesale shift to the hospital across the street. A Press Ganey survey found that hospitals with patient satisfaction in the bottom 10th percentile lost 17 percent of patient volume. And, with players like Amazon making big moves into the healthcare space, it’s becoming increasingly the case that your competition isn’t limited to other hospitals. To improve the patient experience—and in turn patient loyalty—hospital brands are doing everything from offering farm-to-table cafeteria menus to wellness classes like yoga. They’re also investing in digital tools—including mobile companion apps—that complement patients’ in-hospital services and drive better patient outcomes. In one study, a mobile companion app was created for women who were planning to have a cesarean delivery. The clinician-prescribed app was chock-full of pre- and post-surgery information along with appointment reminders. For women who used the app, hospital stays decreased by one day, which, according to the study, resulted in an average savings for the hospital of 216 percent. Other providers, such as Newton-Wellesley Hospital in Massachusetts, are turning to new technologies to enhance the patient experience. Using Virtual Reality, the hospital is giving pediatric patients a valuable escape to help cope with the stress of a hospital stay. These last few examples may not feel like typical marketing tactics. But, to be a meaningful part of today’s audience journey, it’s important to recognize that the hospital marketer’s journey has changed as well. While traditional marketing channels and tactics continue to be important, B2C and B2B marketers are increasingly influencing all aspects of the customer experience. Healthcare should be no different. By partnering with clinical leaders, hospital marketers can weave digital marketing into the operational fabric of the hospital—in turn creating engaging consumer experiences that result in a lifelong journey with patients. 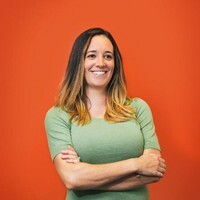 Teri Sun is VP of Brand Strategy at White Rhino – a healthcare marketing agency on a mission to deliver the kind of customer experience that patients have the right to expect. Teri and her team help leading healthcare brands build trust across the patient journey through a proprietary blend of marketing, psychology, and neuroscience that impact breakthrough website redesigns, integrated marketing campaigns and digital health solutions.